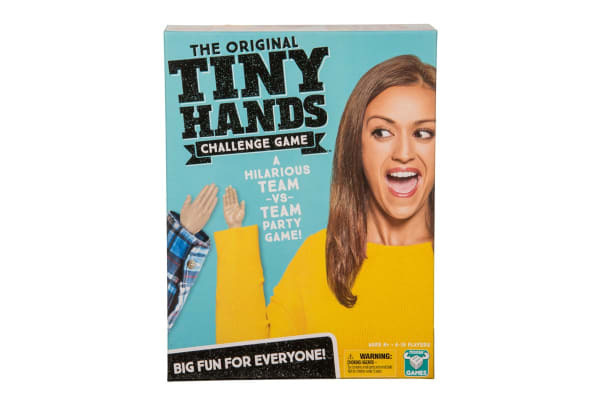 The Tiny Hands Challenge Game is a hilarious team vs. team party game! 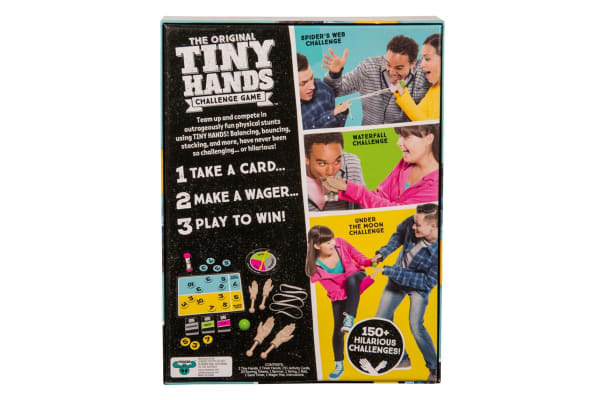 Compete in outrageously fun physical stunts using nothing but your tiny hands! Can you catch a ball, turn over a playing card and serve someone a drink? Sounds easy right? But it’s trickier and funnier than you think when all you have is two Tiny Hands to do it with! 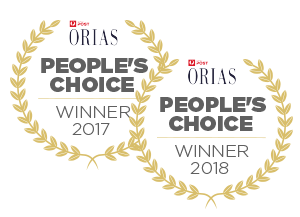 Pick a card; make a wager and play to win. Performing the stunts with your Tiny Hands is funny and watching your friends perform them is even funnier! 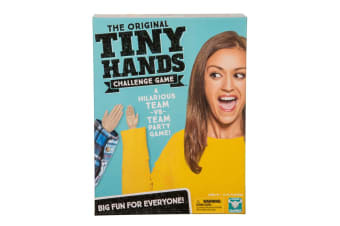 The Tiny Hands Challenge Game comes with 2 Tiny Hands and 2 Tinier hands to make things even harder and more hilarious!